It’s three years since we launched our 2015-2020 Strategy ‘we transform the world with culture’. We’re now at the halfway point; a good time to review our progress, refine and update our plans and make sure we’re on course to meet our targets together. As we undertake this midterm review, it’s clear that much has changed in the world even in this short space of time. Technology and user behaviour have moved on. The way people access information and engage with content has evolved. The funding environment and overall economic outlook have grown more uncertain and our political and social landscape is unstable. 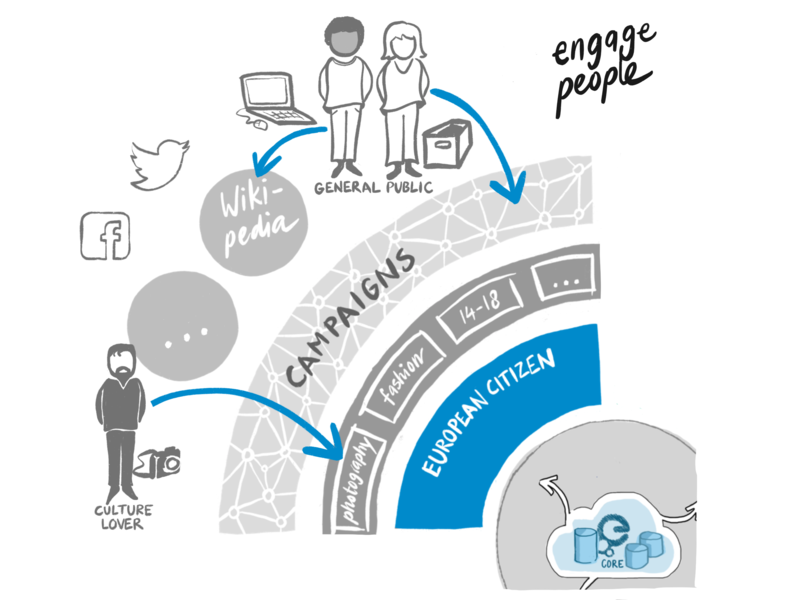 We know many of you, like Europeana, are looking for ways to take positive action. That’s why we’re seizing this opportunity to reaffirm our shared commitment to a vision of Europe that is united in its cultural diversity and strives to increase our collective welfare through smart and inclusive growth. By adapting faster to the changes around us, together we can maximise our impact. Our stakeholders agree that our 2020 Strategy still sets the right overall direction for the future, with the commonly owned European platform for cultural heritage at its core. The opportunity at this midpoint is to accelerate our progress and make sure we are doing everything we can to harness the power of our shared culture for positive impact. However our collective time and resources are finite, requiring us to focus, and jettison anything that isn’t core. That’s why our recalibrated strategy will make the most of our combined strengths, channelling our energies efficiently and targeting the areas where we can have the greatest influence and most immediate and wide-ranging impact. It’s not easy or rewarding enough to share content with Europeana. That means we’re not yet getting enough of our shared cultural heritage, in the right quality, out into the world into people’s hands and the returns therefore do not yet warrant the additional effort that is needed. Our approach for end-users needs to be modernised. We need to find smarter, more up-to-date ways to reach citizens with our powerful content and vital message – ways that fit with the way media is consumed today. There is a lack of clear division of roles and responsibilities in our ecosystem. This means, as a community, we’re not yet harnessing our combined energy and expertise; we’re not yet much more than the sum of our parts. Our supercharged 2020 Strategy will focus on three powerful priorities, designed to unlock more culture, address our pain points and create more positive change across Europe and the rest of the world. 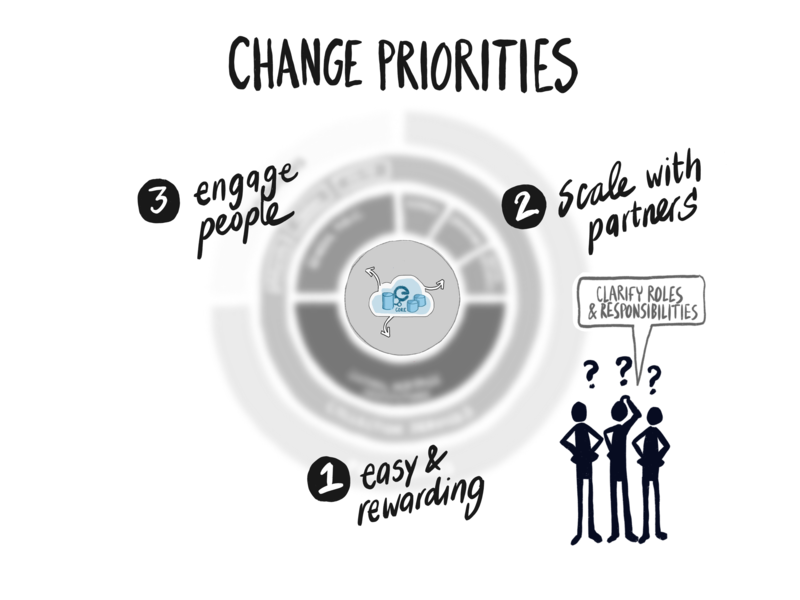 For each of these priorities, we will also seek to change the way we work with each other. Together, we will aim to sharpen our focus on quality, to make sure educators, researchers, creators, and citizens across Europe genuinely can make use of the content we provide. We know users consume content in different ways and that there is a growing appetite for participation. The key is to make sure we all know “who is responsible for what” across our diverse network so that we can rely on each other to deliver. As a Cultural Heritage Institution, you’ll reach and engage more and wider audiences at a lower cost and with less friction (which also means a lower cost for taxpayers). You’ll be further rewarded by directly contributing to a more cohesive and inclusive Europe as well as increasing your relevance to more audiences. As an educator, researcher or creative, having more clearly labelled, high-quality material will help shift your focus from finding good content to harnessing and using it. This, in turn, will make it easier to create new knowledge, new ideas and new value. And users get rich, trusted cultural heritage in their workflow, tailored to their specific need. As a culture lover, high-quality content means browsing Europeana Collections will become much more satisfying, with thematic collections and exhibitions that help you go deeper into a subject and understand how it connects across our shared cultural heritage. As a citizen of Europe, taking part in our thematic campaigns – like adding your family memorabilia to Europeana 1914-1918 – will help increase your appreciation of our shared history and reinforce the importance of our shared future. What do we, the cultural heritage community, need to do to deliver the priorities and effect change? The European aggregation infrastructure has become complex, slow and cumbersome. The process of uploading content is opaque, and the benefit to the cultural heritage institutions is not yet clear enough. They cannot see what happens to their collections, and this, in turn, creates low input and commitment on data quality. Too often, when it comes to contributing content, it’s a case of publish and forget. A root and branch review and reform of our European Aggregation Infrastructure, where Cultural Heritage Institutions are in control of their data, national platforms drive standards and contribute infrastructure, domain specialists deliver expertise and relationship management, and Europeana is the platform that brings it all together. This should create a more cost-effective and streamlined workflow between contributing cultural heritage institutions, national platforms and Europeana. Update of the role of aggregators in a new technical landscape, keeping their strong connections to data partners as well as the skills and knowledge required to improve data quality. Delivery of tools that connect Europeana seamlessly to existing commercial data management systems as well as direct upload of single collections from cultural heritage institutions using the latest web technologies. Give direct system control to the Cultural Heritage organisations to improve the quality of their data, using feedback from users, and determine where their data gets published and distributed from the Europeana platform (via an online version of the Data Exchange Agreement). Show the results on Europeana Statistics Dashboard for cultural heritage institutions to know where and how much of their data is used and make the connections to the benefit of increased quality and openness. Close the loop between what users want and the acquisition of that metadata and content from our Cultural Heritage Institutions partners. Shift our focus from data quantity to quality; from 85% tier 1 and 15% tiers 2, 3 & 4 to 85% high-quality objects ready to be harnessed for education and beyond, based on the Europeana Publishing Framework and implement the Content Strategy. Work with Member States to set some data-quality targets to encourage and support online accessibility of high-quality cultural heritage. 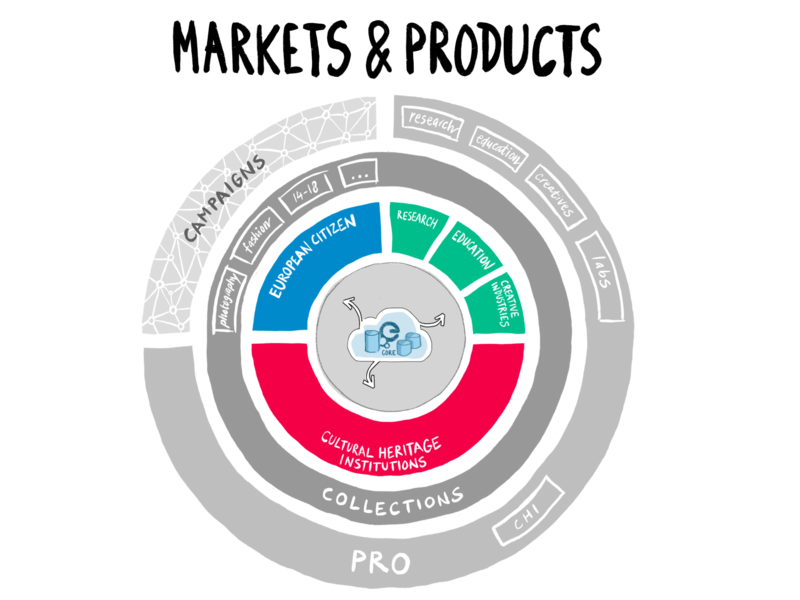 Help Cultural Heritage Institutions feel supported and empowered to take more responsibility for data quality through use and improvement of the Europeana Publishing Framework. For several years the overarching trend is to place the content where users already go, rather than to create new destinations outside people’s use patterns and workflows. By using and developing our partnerships in Education, Lifelong Learning, Research, Infotainment, Social Media, and Creative Industries we can take cultural heritage out to more people across Europe and beyond. Focusing on sectors with known demand and with the largest accessible user bases will allow us to deliver scale quickly, moving away from peripheral partnerships that do not. Our priority will therefore be to build and nurture large scale media and distribution partnerships with like-minded organisations and companies who already have strong and loyal communities of users with an interest in, need or passion for culture. Develop more partnerships in the market focus areas of education, research and creative industry (digital entrepreneurs, designers, developers) to add to the successful ones we have. Continue to develop relationships with social media hubs like Pinterest, DailyArt, Etsy, to widen take-up by casual users of culture. Give creatives and researchers the possibilities to develop new products and services or gain new insights into our shared history by extending our Challenge and Grants programmes. Work with major platforms and communities such as Wikipedia, Wikimedia Commons, WikiData and Wiki Chapters on themes that spark new visualisations or knowledge in our cultural heritage material data. 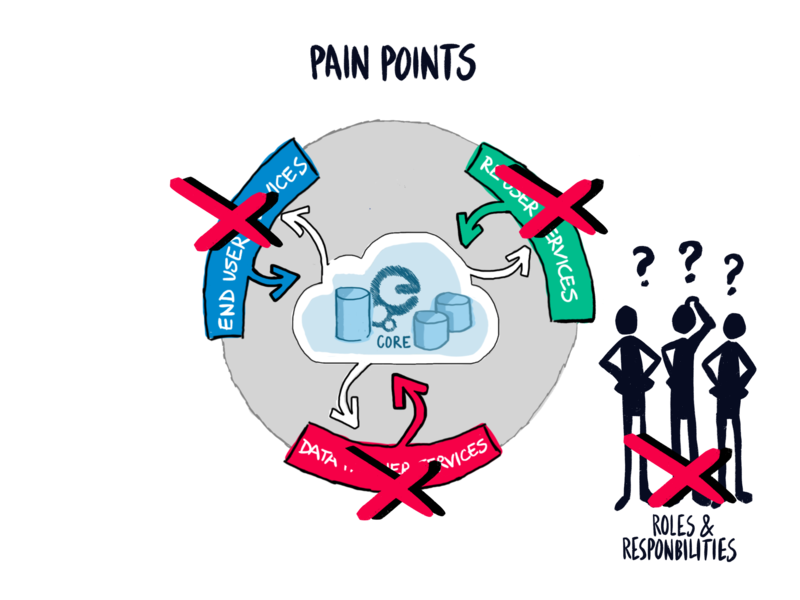 Improve provision of our free platform and functionality, access to data and tools that promote and enable content reuse, such as read/write APIs. Improve the feedback chain to empower new partners to curate and market services to their end-users and acquire extra metadata and content from key Cultural Heritage Institutions. Loop back the packages of content produced by educator and research partners into shared online spaces creating virtuous feedback loops so that use of content builds content. Supply rich, good quality content, with the metadata and tools that aid specific content reuse, for example: labelled as Open Educational Resource. Europeana needs to continue to improve access to Europeana Collections, so that people, both professionals and the public, can understand what is available. Everything our community does to improve data quality will help users to discover more cultural content, but we can also make it easier for them by showing what’s on the racks. Some improvements have been made on Europeana Collections. Our thematic sites that curate and package content now attract much more loyal and engaged users. This we will continue. Expanding subjects and themes according to demand, available high-quality content and curatorial capability. As a community we need to increase participation making our cultural heritage personal and relatable by connecting family stories and memories to major shared cultural themes. Europeana and its Network will continue to invest in our successful programme of campaigns encouraging the contribution of family stories and the making of new things with our content such as Art Faces, StoryPix or Europeana Radio. We will take new narrative themes and campaigns out into the world to challenge expectations and draw in new audiences. Take advantage of the curatorial know-how of our primary partners, the Cultural Heritage Institutions, to build on Europeana Collections, to curate shared pan-European cultural themes: for example, Europeana 1914-1918, Europeana Music, Art, Photography, Newspapers. Together with Member States and individual Cultural Heritage Institutions, promote these themes across a local roll-out programme of annual campaigns designed to show culture in a new light, encourage citizen interaction, participation, and data improvement. Harness the power of social media across all themes, campaigns and events, using all relevant tools and mechanisms to reach out and tell people about their cultural heritage. Link to existing initiatives such as the European Year of Cultural Heritage in 2018 to increase impact and integrate with school and social initiatives to bring cultural heritage to the fore in people’s daily lives. Constantly improve our APIs as the primary driver of Europeana and the thematic Collections. Pour major investment in our search technologies together with leading academic institutions and specialist companies so that users and partners find the results they need and get value from the API. Overcome linguistic barriers to using our cultural heritage content in the classroom and outside the academic elite. Include using automated translation software, developed by others, but also continuing research and exploration into this problem. Improve browsing opportunities in Europeana Collections with automatically generated thematic or subject collections and sharing the underlying technologies such as our exhibition platform. Find solutions that allow more content to be indexed (e.g. entity pages), and show the semantic connections in the data, across all EU cultural heritage institutions. Develop solutions to deal with content and media, such as newspapers and video-streaming. Encourage and develop Collection themes that attract audiences, bring scale and interest guest curators. Initial plans are in place for new themes celebrating Photography, Fashion and Newspapers. Look for themes that encourage interaction across the generations and countries of Europe, tap into people’s daily life and unlock further personal and family stories, start new conversations, fuel debate, and encourage collaboration. Provide user feedback to persuade cultural heritage institutions to deliver demand-led high-quality content. Encourage the use of linked data compliant, domain and subject-specific ontologies/thesauri to aid search and overcome the language barriers. Encourage the public to help us enrich and improve our data through citizen- literature events, such as Transcribathons. Work with museums, libraries and archives to lift data quality to tier 2, 3 or 4 and broaden public engagement in new and innovative ways. Europeana is an expansive, ambitious and complex organisation and we realise this can sometimes make it hard to understand. Simplifying our strategy, making it as accessible and inspiring as possible, has been a collaborative task, with a programme of workshops, strategic discussions and creative exercises designed to gather rich input and ideas from many quarters. Special thanks to the Europeana Governing Board and the Members Council of the Europeana Network Association. Your insights, critical remarks, drawings and videos have been truly inspirational. We would like to express our thanks to everybody who has contributed to the Strategic Plan.